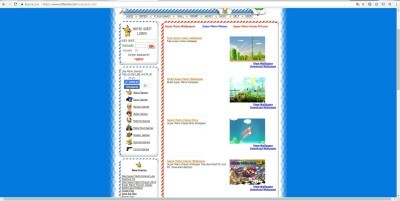 Softendo Web page also has a builded RPG game inside web site! You were able to get experience by fighting with other players, also by getting money from fights you were able to buy items for your hero like armor, weapons, shields and more. Little history for little players... and the bigger ones to. 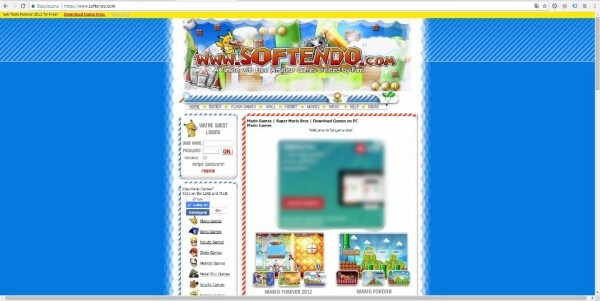 Softendo is a freeware game site, connecting players together from around world. To get some fun and play. We'd like to introduce you best Super Mario Bros fangames over the internet created by people who love hubby plumber and his adventures! All games available on our site are freeware and free of viruses, so your computer is safe! 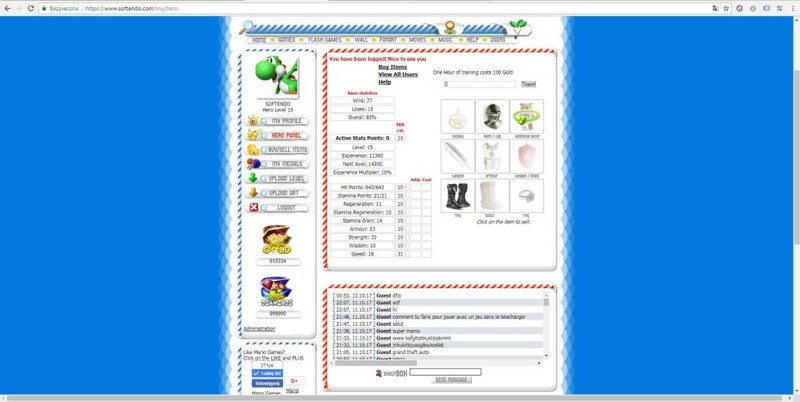 Some of Super Mario Bros installers don't have certificates but we have tested all installers sended by our Super Mario Bros fans and all files have been checked. 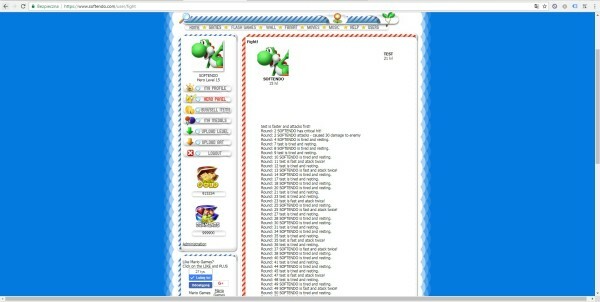 If any of the Mario Bros file is broken or virused send us information - surely we will delete and ban user who send us bad file! 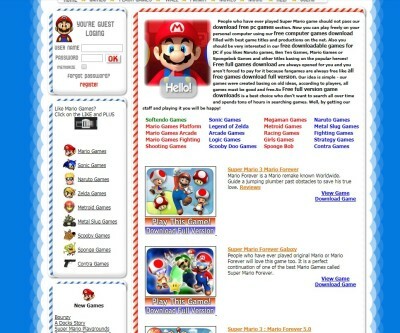 From our site also you can play Super Mario Bros in flash so some of the games are online. 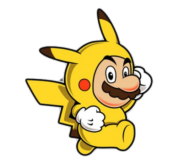 Also you can download wallpapers, levels, Super Mario 3 Mario Forever, music and free amateur soundtracks created by fans and other creators. 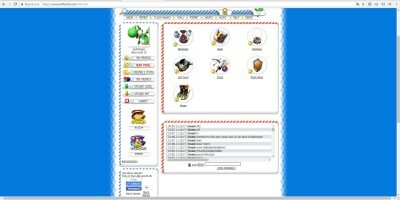 Surely we have prepared many interesting games here, from Super Mario Bros to Mario Smash Bros and much more. 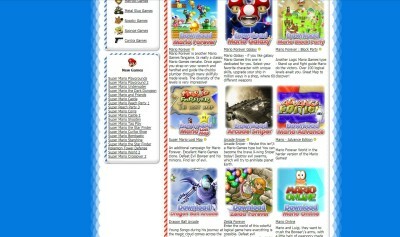 Go to our Super Mario Games section and download or play online flash games! Just enjoy our games! But if you don't want to search the site we can offer you best!